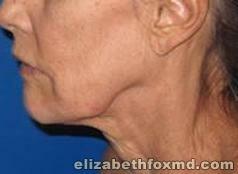 Description:This nice lady had a neck lift and his 2 weeks post op. 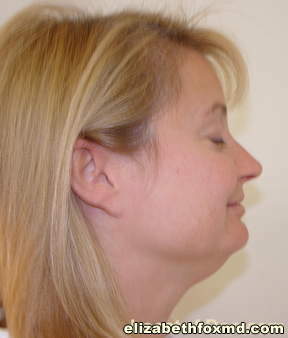 Description:This lady had a necklift, and is 7 days post op. 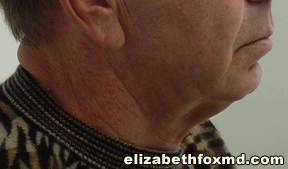 Description: Male Necklift, this gentleman from North Naples Fl wanted to get rid of drooping skin on his neck. 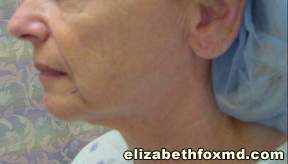 This procedure not only changed his outside appearance, but also changed his attitude towards life. He is now living life to the fullest. Look at how he is dressing in the after photo as a much younger man! 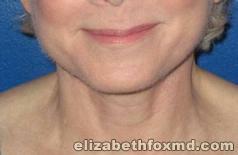 Description: Neck lift performed by Dr.Fox at Fox Plastic Surgery Center in Naples, FL. 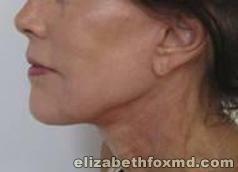 This patient wanted to get rid of the drooping skin under her neck, she loved the results! Description: This beautiful young lady has such a nice facial architecture. 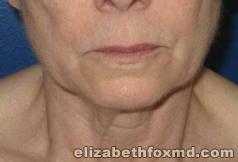 SHe however, had a fullness to under her chin and mandibular area since childhood. She was very smart to take care of the things that bothered her or prevented her from enjoying all aspects of her beauty. She was thrilled after she saw her results. She now could have pictures taken of her without worrying what angle they were capturing.